Hey Guys, Looking for best deodorants for men in India? Keep calming my research on deodorant makes your shopping experience next level. When It comes to deodorant for men there are two aspects first is antiperspirants that stop wetness and natural deodorants that fight BO. Let’s see why armpits are so smelly? the reason behind that is actually bacteria, not sweat. sweat is odourless. but bacteria will stay there for long and it will spread smell. Antiperspirants and deodorants both take this problem in a different way. The work of antiperspirants is to stop sweating, keep your armpits dry and stop producing the bacteria. the reason behind depend on aluminium. it is really helpful to stop up sweat glands. A deodorant doesn’t stop sweat. It neutralizes the odour caused by bacteria when they just kill the bacteria. These can be achieved through the use of fragrances, antimicrobials restrain bacterial activity. Nivea Deo Fresh Active is one of the first best deodorants on the list. Its design is very good and most popular product in perfume. This is beautiful to keep you feeling fresh all day with effective antiperspirant protection. A long time effective regulation of perspiration and a fresh feeling 48 hours. AXE Dark Temptation Deodorant is a second-best deodorant in the list. This is long lasting Eau De Perfume. This deo keeps you fresh & clean and get a refreshing with the clean feel you every time. Also Keeps body odour away and long-lasting protection. This irresistible chocolate fragrance unleashes your wickedly naughty and sensual with your side. Keeps your body odour away with getting a refreshing & clean feel every time you use this deodorant. yardley London – elegance Deo is a third-best deodorant in the list. Ideal usage for daily wear and partywear. Yardley London has a purveyor of quality products. Packed bottled in frosted black glass with a silver metallic cap. Yardley London is safe on skin and is suitable for use every day. Nivea Fresh Active Original is a fourth-best deodorant in the list. This brand is a very successful brand for skin care products. The Fresh Active Deodorant keeps you sweat-free and protected for 48 hours. It gives a long lasting refreshing fragrance and fresh feeling entire day. Nivea product is a skin compatibility dermatologically approved. Engage Man Deodorant is a fifth best deodorant in the list. This is a packed in Stylish bottle shape with attractive black yellow colour. It is the Engage deo fragrance with the gentle forcefulness of a man. 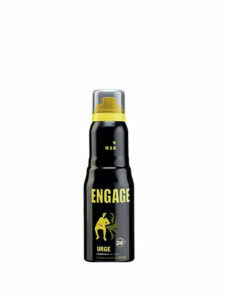 Engage deo urge is the really very good smell with low price. 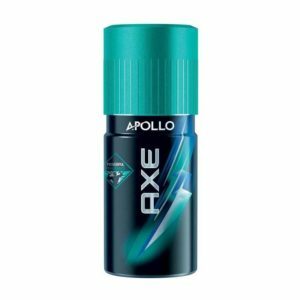 Axe Apollo Deodorant is a sixth-best deodorant in the list. Its design is very good and most popular product in perfume. Fragrance layering helps in making the smell of your perfume long lasting with Keeps your body odor away infuses vibrant energy and great freshness. The various type of fragrance product is offered like chocolate, pulse, Apollo, provoke and dark temptation. This deodorant provides longer lasting protection that goes on from a party, to after party, to after the after party. Layer’r Shot Deodorant is a seventh-best deodorant in the list. This product as it’s fragrance is awesome and long-lasting. This deodorant makes sure that you spread your aura wherever you go. Use this deo after shower for entire day freshness. Layer shot deo is one of the best deodorant available in the market. KS Kamasutra Deo for Men is an eighth-best deodorant in the list. Ideal usage for daily wear and party wear. It comes in a luxury, fresh woody, masculine and long lasting fragrance. The deodorants of KS Kamasutra has launched several qualities of deodorants for men used long time and itching due to sweet. A man who blazes a trail where women follow. Park Avenue Voyage Signature Deo is a ninth-best deodorant in the list. Used Park Avenue Voyage Signature deodorant spray Stop the madness and invest in your body.Smell as fresh as sweating is a natural thing. This is a men’s deodorant has a fresh and woody fragrance keeps you high spirits through all day. Park Avenue is one of the most popular fragrance brands in India. 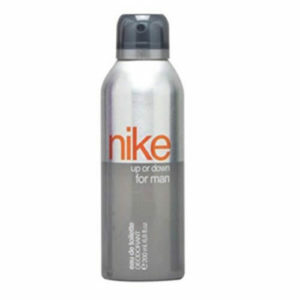 Is the last but not the list, Nike Up Or Down Men Deo for Men is a tenth best deodorant in the list. It comes to men for hard desire personality suits this fragrance. Buying the best deo and impress your favourite person through body fragrance. This smell is really strong and good. Merging the floral and fruity fragrance.